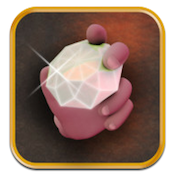 Miner’s Gems iPhone Game Review: Multiscreen Matching Fun! 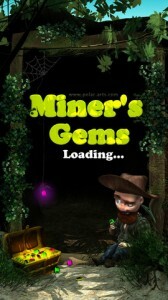 Miner’s Gems is an iPhone game developed by Zafer Basulas. Miner’s Gems bears some similarity to games like Bejeweled, but this title has a pretty major twist that keeps things fresh. Rather than line up gems on a single screen, you have multiple screens to manage. 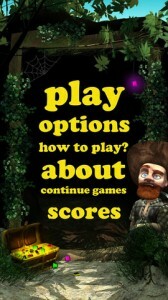 If you love multi-tasking games, this matching game is sure to please. 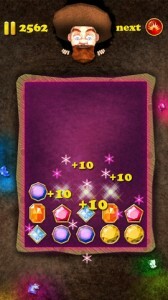 As gems fall down the screen, you can tap to either side of them to change their trajectory. After one gem falls, another gem will begin to fall on a different screen. 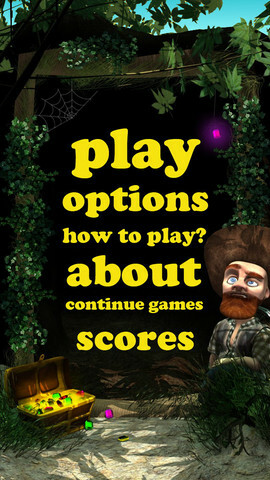 Slide your fingers left or right to see what is happening on the other game screens. 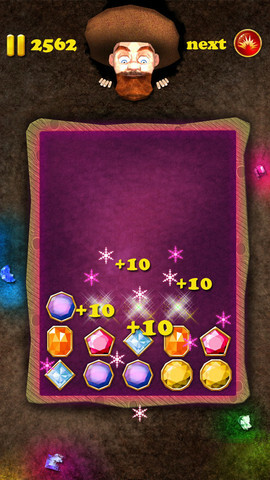 Place three gems either horizontally or vertically to explode them and clear the board. In addition to gems, there are also two bonus items to watch out for. The blue “Joker” gems will take the shape of the gem it touches. The red “bomb” gems explode the gems adjacent to them upon impact. This multitasking game is challenging. However, it takes a really long time for the gems to fall. 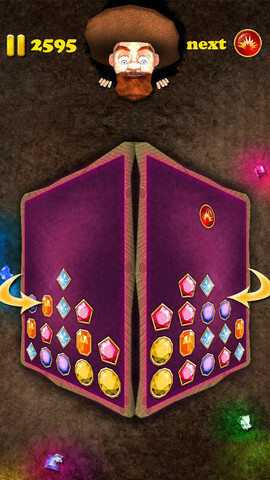 I wish there were already two lines of gems on every box screen, because this would make the game feel urgent right off the bat. There is a “next gem” icon, but that doesn’t give you the next gem faster, it just tells you what that gem will be. Twangy, banjo-fueled background music really gives you that old timey miner mindset, and it’s a great choice for setting the atmosphere. It does get a bit repetitive after a while though. Miner’s Gems gets high marks for innovation, thanks to its multi-screen gameplay. However, the initial pace of the game is really slow and quite boring. But if you stick with it, this is a richly rewarding mobile game experience. Miner’s Gemsis compatible with iPhone 3GS, iPhone 4, iPhone 4S, iPhone 5, iPod touch (3rd generation), iPod touch (4th generation), iPod touch (5th generation) and iPad. Requires iOS 5.0 or later. This app is optimized for iPhone 5.